Sell With Confidence. Wimsatt has everything you need IN STOCK to create your customer’s dream deck. Transcend decking maintains its vibrant color and luxurious finish – come scorching sun or red wine spill – thanks to its unyielding, three-side shell protection and a 25-Year Limited Residential Fade & Stain Warranty. See how using a 95% recycled board (that’s almost the whole thing) makes your customers feel about the great outdoors. Generally, where there is stunning decking, there’s railing—and finding the right match for your home and style is the fun part. The Transcend and Signature exterior railing lines see any vision through with a range of colors, finishes and deck rail options. 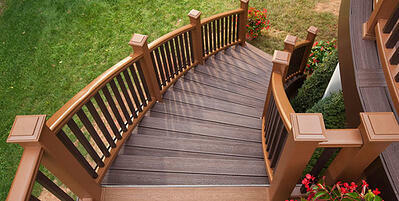 Composite deck railing with a quick-and-easy, customized look. Built with the same incredible durability as Transcend decking–won’t rot, warp, peel or splinter. 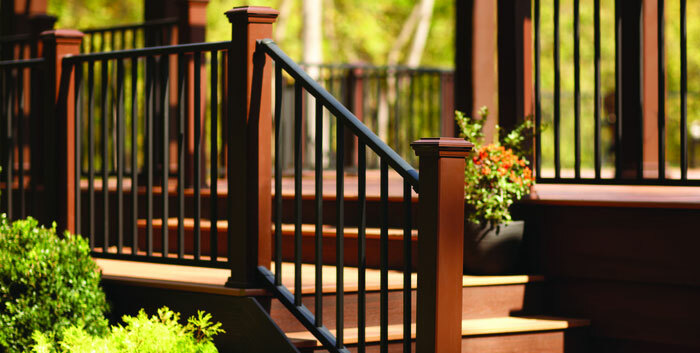 Modular components let you mix and match your customized look with any Trex railing line. 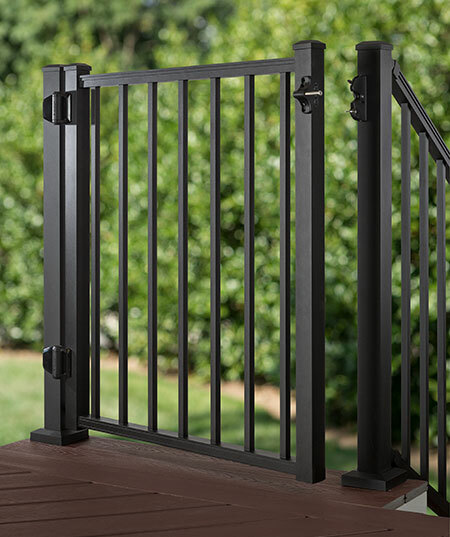 Available in a selection of elegant neutrals and backed with the stability only aluminum railing offers, along with Trex’s 25-year limited warranty. Designed to blend seamlessly with all Trex railing options, Aluminum gates possess exceptional strength and offer fast and flexible installation. 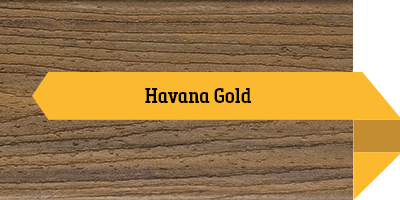 Offered in three colors with either square or round balusters. Simply put, only Trex Elevations is engineered for outdoor use. 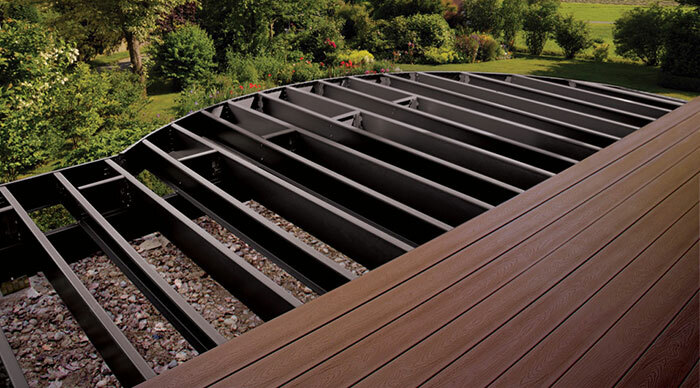 Elevations is steel decking substructure that guarantees safety and continued beauty through decades of outdoor conditions. It can stand the test of time without shifting, splitting, warping, rotting or rusting. STRONGER - Longer spans allow for fewer posts and less obstructed views. 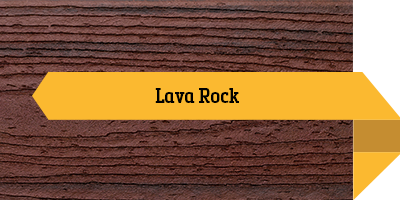 Unparalleled strength enables cantilevers and dramatic curved deck designs. STRAIGHTER - Precision engineering ensures surfaces remain flat over time. 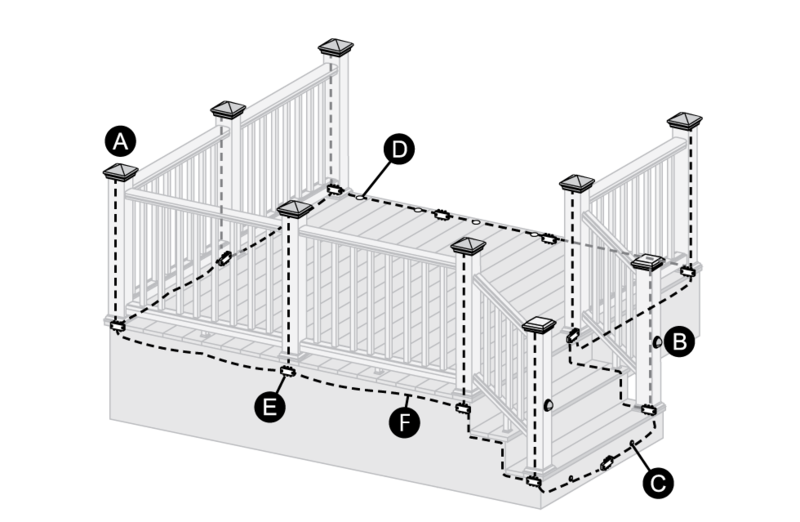 Consistent dimensions mean a level run from house to edge. 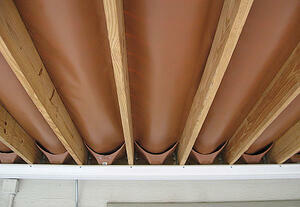 SAFER - Steel is rot-and termite-proof, unlike wood. Steel is also non-combustible material has Class 1A fire rating, and Elevations offers a 25 year residential warranty (10 year commercial). Trex Deck Lighting creates a warm and inviting glow your clients will appreciate during warm summer nights. These easy-to-install lights coordinate with the Trex Transcend color collection for a seamless look. Want more information and insight on Trex Deck Lighting products? Check out the complete product line from our catalog. All pricing valid on orders placed and shipped 4/1/19-5/31/19. Cannot be combined with other offers. Wimsatt offers premium products combined with premium service. Our professional showrooms are available for your use and stocked with samples and literature. Bring or send your clients in to explore materials and finishes, and we will be happy to help them make choices or answer questions. 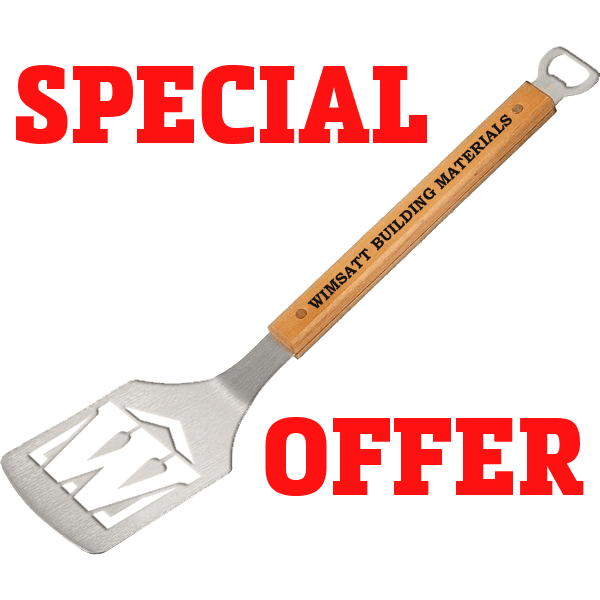 Place any $5,000+ order of Trex , James Hardie, or Andersen Windows in April or May and you’ll be grilling in style with a FREE Wimsatt Sportula! Sportulas will be delivered by your Territory Manager in early June. Limit one per order, two per account. All offers and pricing valid on orders placed and shipped 4/1/19-5/31/19.